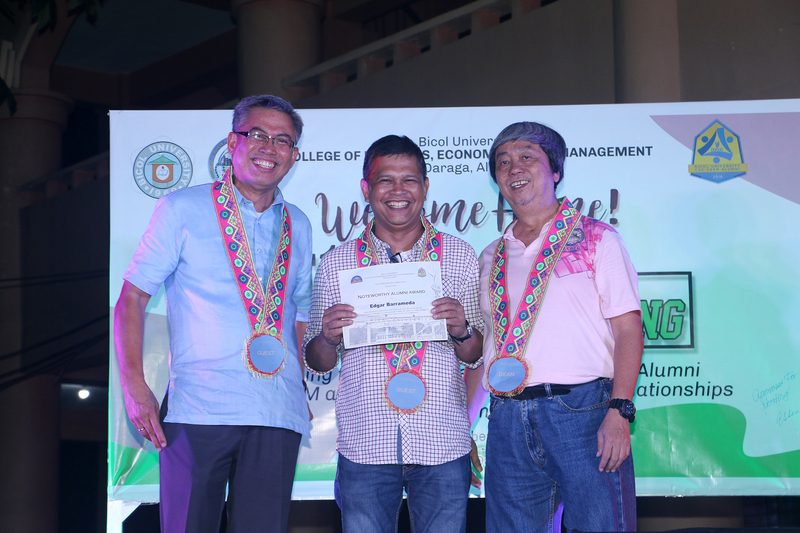 Graduates of Bicol University's College of Business, Economics and Management (BUCBEM), and its mother campus the College of Arts and Science (BUCAS), visited their alma matter last September 10 for the First BUCAS-BUCBEM Alumni Homecoming 2018, held at the BUCBEM Grounds of the university's Daraga Campus. During the day of the homecoming, the participants first joined a Color Fun Run and Zumba in the morning. Throughout the day, the alumni toured the BUCBEM Campus and were given the opportunity to meet and take pictures with the college's current and retired department chairs, professors, and student leaders. A presentation that featured the changes and growth BUCBEM has undergone through the years was shown including the college's academic programs and reforms. 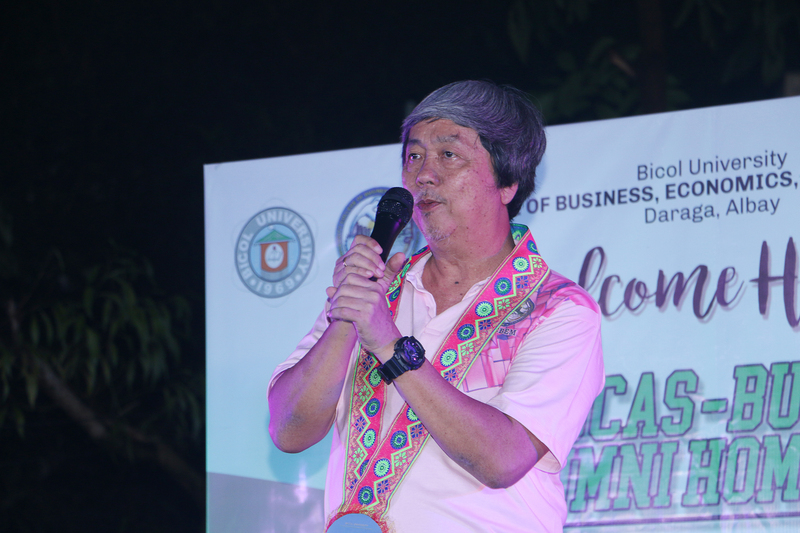 The evening affair included a party that highlighted the awarding of the college's note-worthy alumni, conferred by the CAS/CBEM Alumni Association and the BU General Alumni Association Incorporated (BUGAAI). The awardees were chosen based on how they strongly manifested the ideals of their alma matter by vigorously striving to continuously make notable accomplishments in their chosen careers and service to the community. 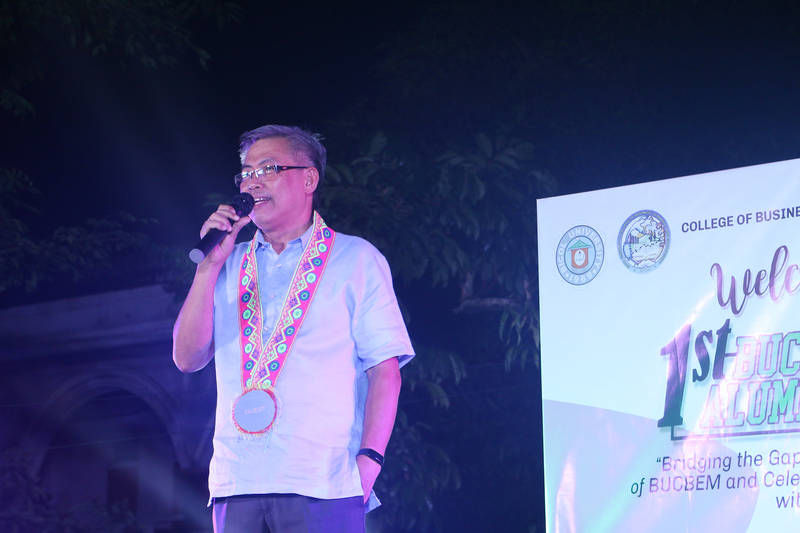 BU President Dr. Arnulfo Mascarinas and BUCBEM Dean Dr. Eddie See presided on the awarding and gave their inspirational address to the alumni for the valuable contribution to both their alma mater and communities, which reflects the kind of character BU aim to instill in all its students.